In this fantastic outbound package, you will get picked up from your accommodation and dropped off to our finest lounge in Karangasem. 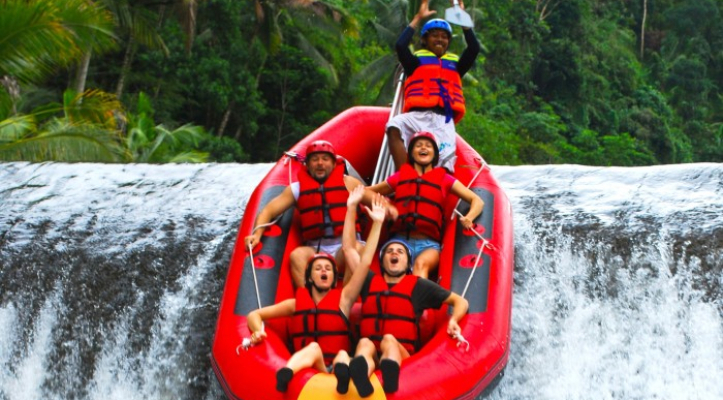 You can enjoy a 1.5 hours of rafting in the Telaga Waja River with a 4-meters drop. 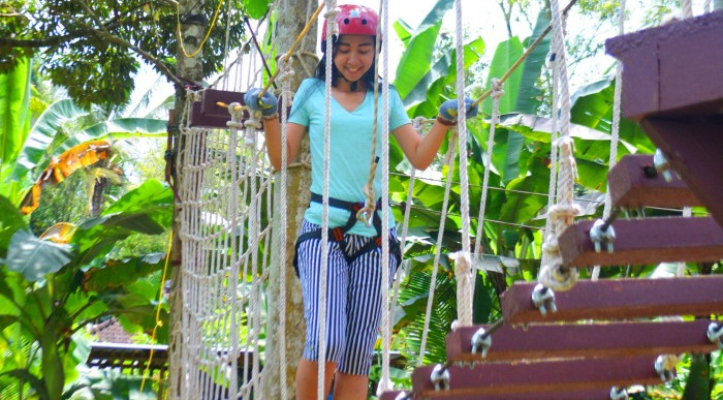 You can also enjoy our Tree Top activity which includes the flying fox with our safety-prioritized equipment so you can have fun and feel safe at the same time. 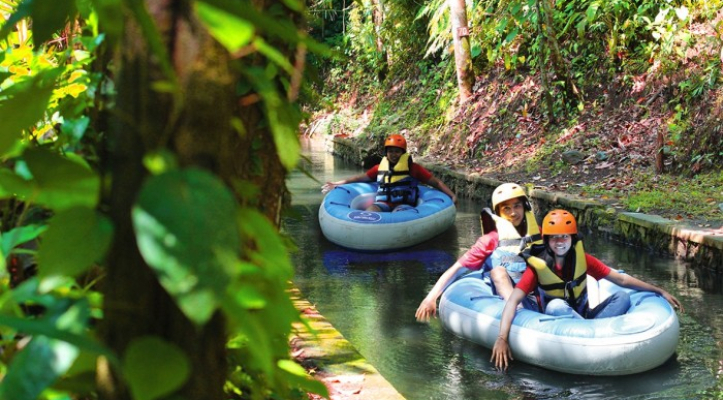 We also includes Lazy River where you can relax while experience the nature of Bali. It was a great experience. I had a situation regarding late reservation but it was solved in a perfect, profetional way. What a great day. Me and my partner booked 4 in 1 adventure, however we never tried rafting before so we wasn't sure what to expect. It is absolutely amazing experience and you would be mad not to try it. I loved every second and met there new friends. If you want to see beauty of the jungle and like a bit of adrenaline then definitely try rafting. Driver pick you up from your accommodation and drop you back. You got lunch including in package. So leave all worries in hotel and just enjoy.